The Beatlegs are Queenslands #1 Beatles tribute show. This is an incredible show not to be missed. 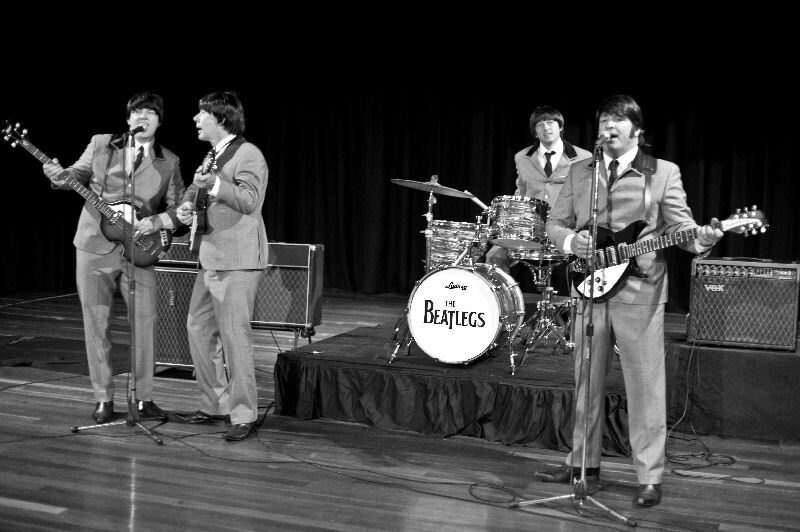 The Beatlegs are Queensland's premiere Beatles tribute show. Reproducing the iconic sound and look of the Fab Four, The Beatlegs will have you dancing in the aisles and reminiscing as they play hit after hit of those memorable Beatle classics. Taking you on a journey through the eight year height of the Beatles fame, The Beatlegs begin with that innocent age of the Beatles when Beatlemania was at its peak and those slick suits and haircuts were as iconic as the music. They will then transform you to that magical mystery era of Sgt Peppers and onto the Let it Be and Abbey Road days. The Beatlegs show is not just a tribute to the greatest pop band of our time, but it's also a trip through time. A nostalgic portal back to a time of innocence. It's a show that appeals to young and old alike. This is a show that features all the bells and whistles and must be seen to be believed.